Orbital ATK. Space IL. iSpace Inc. Innovative Space Technologies, LLC. C’mon, really? The way most space companies have named themselves gives the impression that they don’t recognize or care to take advantage of their company name as a business tool. Because most have selected a name that speaks generally about space or an empty vessel name which carries no readily available meaning, it seems like most New Space founders treat naming as something they reluctantly have to do but don’t want to deeply consider. There isn’t much space left. More and more companies are entering the New Space industry and in doing so competing for attention. There are entire conferences dedicated to space startups (shoutout to Disrupt Space and New Space!). 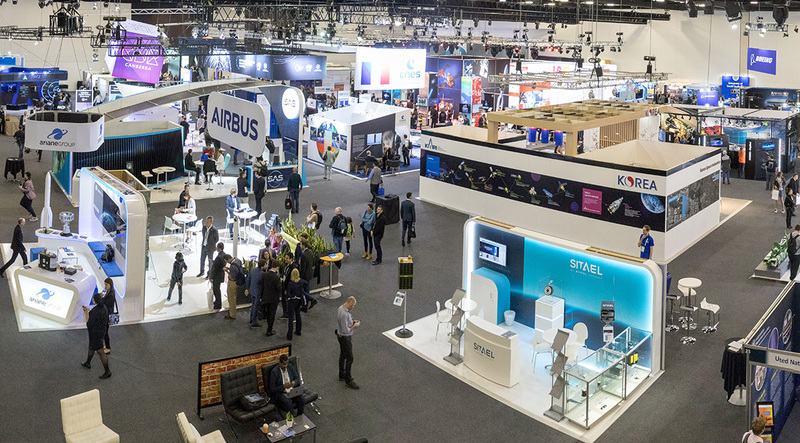 When one walks around these conferences, there are few or no names that a) are dramatically different from the booth beside them and b) evoke a distinct feeling. With the industry becoming increasingly more mature, companies can no longer afford to name themselves in an undifferentiated way. For instance, if Astro Digital, Astrocast, Astroscale, Astrobotic were all to present at IAC, it doesn’t matter how groundbreaking their respective offerings are, there are people who will confuse their names. What a tragedy for those four companies working hard to build awareness and grow their businesses! Maybe twenty years ago when the industry was comprised of a few megalith aerospace companies, global space agencies like NASA and Roscosmos, and lots of academic research projects, a company could slide by with a status quo name. But in the current New Space era, thanks to plummeting barriers to entry, and rampant investment, the private space sector is flourishing. This also means it’s more crowded than ever which has major implications for how all of these companies communicate. Space is a location, not a value proposition. The fact that the space industry continues to want to highlight or include “space” in their name shows in and of itself that space is novel. Which isn’t a good thing. If space is to become main$tream we want space to be seen as normal, not novel. Of course it can be a part of a company’s story. But continuing to emphasize it as a leading point within company names draws attention to how fledgling the industry is (and how unproven its companies are). Most established industries don’t label their businesses with the location in which they operate anymore because that aspect of their business is no longer remarkable. Space, like “ocean” or “sky”, is a location, it is not something you “do”. The days of ocean liners and airships have come and gone and like them, so should space names. Not everyone knows space is as awesome as you do. It might be shocking to some space companies, but your customers might not care that you perform your work in space. In seeking to win over the hearts, minds, and dollars of the audiences who don’t inherently understand the opportunities that exist in space, is it better to gush at them about how awesome space is, or first tell them about the benefit you’ll ultimately provide to them? We’d bet on the latter. Most customers will only care how they’ll use earth observation to predict retail sales or how they’ll be able to connect remote villages to better internet thanks to your groundstations. A name that forms a human connection and speaks to the distillation of a key benefit is vastly more inspiring and persuasive than the mostly random sci-fi novel you referenced in your name or worse yet, a name that merely says “Space.” In a society where most people don’t fully understand the extent to which space technology affects their daily lives, an accessible name telegraphs that your work is applicable and valuable to them, earthlings, who are, at least for the time being, your key customers. In fact, some people think space is bad. Things still regularly blow up in space. This means that to a lot of folks words like “space” and “orbital” are shorthand for: risky, out-there, and far-fetched. If space companies create names more in line with “regular”, earthbound companies that touch humans everyday, people would start to see them as more normal, viable organizations and less so as risky, out-there propositions. Take our client, Momentus—a propulsion company that came to us wanting to position themselves as an asteroid mining company. They needed to secure a great deal of investment from a wide range of sources and find corporate partners outside the space industry. In a sea of names like Planetary Resources, Deep Space Industries, Phase Four, and Space Systems Loral, we created the name Momentus to stand for their key benefit: to power the movement of humanity. While part of what they do will be related to asteroid mining in the long term, this deliberate move away from asteroid mining in their brand positioning and name lowered the perception of risk and instead speaks to the momentous occasion of space exploration and human expansion, visually cues the word “momentum” and contains the words “moment” and “us” which is highlighted in the design to imply humanity seizing this incredible opportunity. Lo and behold, Momentus made it into Silicon Valley’s Y Combinator, the most prestigious tech incubator in the world, and has since seamlessly pitched both in- and out-of-industry investors and corporate partners. Having a highly-differentiated name and brand that doesn’t immediately pin them to space has served as an exciting springboard for pitching their bold vision. Elon is visionary, the name SpaceX is not. We can just hear it now: “Don’t mention space in our name? But Elon did it!” Despite their massive success, the name “SpaceX” actually doesn’t work as hard as it could to tell the world what they’re all about. It’s a good thing they have an outspoken leader like Elon Musk around to make up for that. His personality is the brand and makes up for their otherwise average company branding. 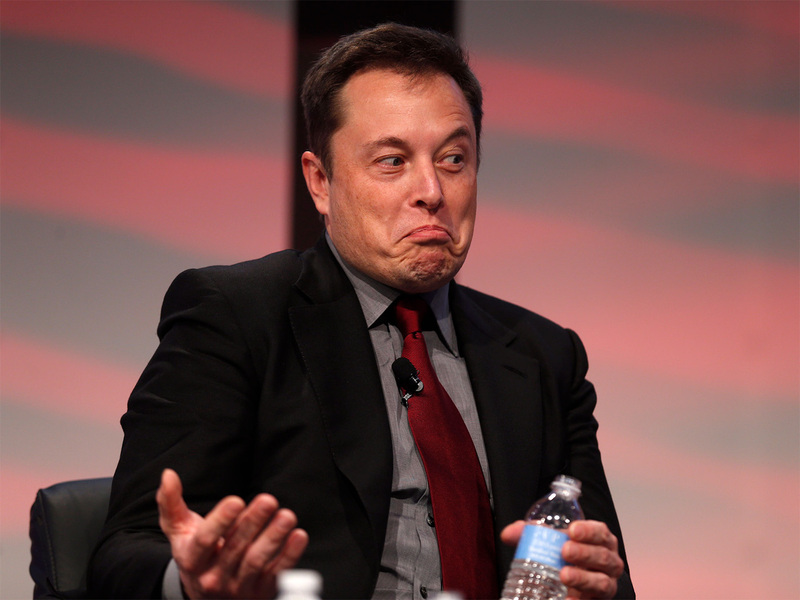 The cold hard truth is that most space companies do not have a superhuman, wildly charismatic serial entrepreneur with a great sense of humor at the helm (sorry) so using a bold name and powerful brand is your best bet for standing out, maximizing curiosity and exposure, and minimizing the number of reasons people have to dismiss you if you aren’t Elon. Your name, not your technology, is your first impression. While a name might not matter as much to certain technical buyers and contacts, most space companies fail to realize the importance of communicating to audiences beyond them. In order for New Space to grow, space companies must involve powerful people, partners, and customers that exist far outside the space industry and thus, create names that speak to them, too. Furthermore, many ignore the meta-message their company name sends. Because it is the very first doorway through which someone enters—a first impression—a company that is boldly and innovatively named sends the meta-message that the company itself is bold and innovative. If not for you, do it for the rest of us. The collective impact of uncommunicative names and poor branding choices has lowered the bar for the entire space industry. Hundreds of near identical logos and strikingly similar names have formed a perceptual wall around New Space—a wall projecting an exclusive, self-interested club, rather than a hotbed of pioneers solving some of the most intractable issues of modern day society. It obscures the ability of out-of-industry investors, collaborators and the general public to see the enormous mainstream business opportunities that New Space holds. The New Space economy has been built on the backs of some of the greatest engineers, scientists, and academics of our time, not the greatest marketers and storytellers of our time—and rightfully so. But that’s no reason why those two groups can’t collaborate now. With these forces combined, we’ll see space companies excelling with powerful names and sophisticated brands. We hope that space companies choose to exploit branding as a business tool rather than slapping on a spacey identity without another thought about it. In seizing that opportunity, individual businesses will become more successful, ultimately raising the tide of the New Space Economy overall.